There may be very few people who are fully aware of the arbitration as well as arbitration laws in UAE. Arbitration has huge importance in the resolution of dispute cases because it is the last option for the person before proceeding towards the legal procedures. Arbitration lawyers in UAE are responsible for helping people with arbitration cases. They are a good option to consider because they are very fluent in the arbitration law in the UAE. It makes them more knowledgeable than others. The arbitration rules are complicated which might not be easy for the normal people to understand easily. That is why it would be better for the people to take the help of arbitration lawyers to deal with the matters in an easy manner. The arbitration lawyers help the people in settling their loan or people can take help from a debt collection agent. They also deal with big challenges for their clients in order to give them relief from different disputes and problems. Arbitration lawyers solve the disputes of their clients while dealing with the arbitration complexities at their own. They are sensible people who take the steps in favour of their clients while making them understand everything in a simpler and easier way. To the Concerned parties in a dispute only if they agree for arbitration. While the process of arbitration is being conducted in the UAE, nothing should happen in conflict with the orders of the state. International commercial arbitration which is conducted abroad if the concerned parties opt for such arbitration. Lastly, arbitration law is applied to any dispute which arises due to any legal relationship name it contractual or not until or unless excluded by any special provision. Being a trading hub, UAE gets a lot of foreign investments from different countries. Because of foreign investments, arbitration remains the only effective method for handling serious disputes. The concerned parties take the help of arbitration in order to solve their problems and commercial disputes in an effective manner. They hand over the disputes to the arbitration committees in order to avoid long processes of commercial disputes which are then reviewed by the courts. To avoid complicated international laws, hiring arbitration lawyers is an optimal solution for loan settling because they are well aware of the arbitration laws and orders. 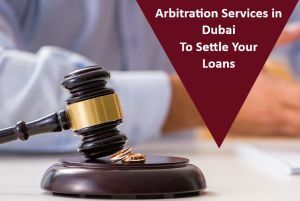 To save time, the foreign investors take the help of arbitration lawyers in Dubai, UAE which handles their loan disputes easily. Due to hiring the arbitration lawyers in UAE, the foreign investors get to save a lot of money and efforts because otherwise, they would have to pay a lot of money on court sessions. 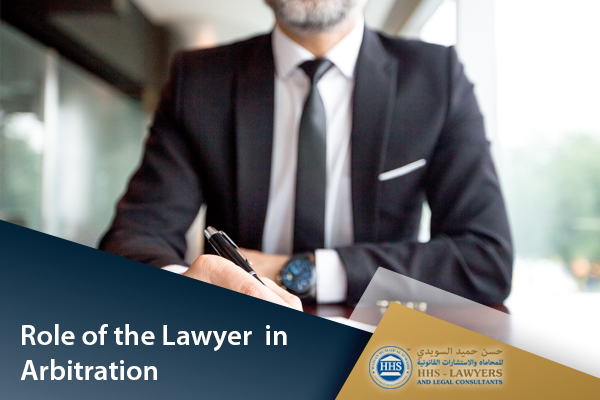 People hire the arbitration lawyers because the court proceedings in UAE are carried out in the Arabic language which is unknown to a lot of people. That is why they prefer hiring a lawyer who is not just aware of the Arabic language but also the arbitration law. The decision of the arbitrator is considered as a settlement which has the power of execution after it gets acquired by the concerned court. There are numerous organizations who provide the businesses with the best and high calibre facilities for arbitration. Their arbitration services are not just very affordable but also up to the mark. They would never compromise on quality no matter how hard the case is. They would do their best in order to satisfy their clients with their services. Arbitration lawyers working in the best agencies get to enhance their knowledge every passing day. This plays a huge role in their refined attitude towards different problems they would encounter in the long run. That is why they are a very preferable source of handling the disputes in a remarkable way. 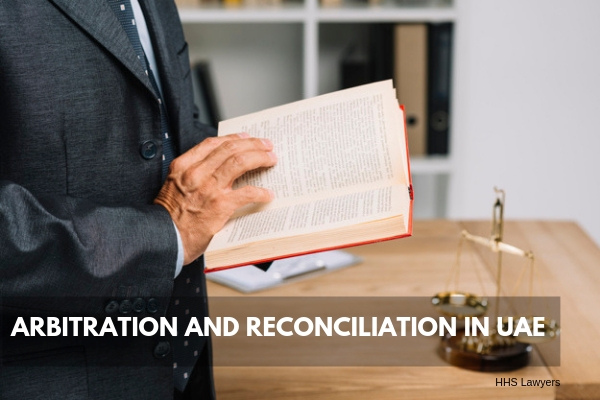 Arbitration dispute resolution must not distress you when you have the best lawyers in UAE working for your betterment. They have a good understanding of all the laws in the UAE. Also, they do not charge heavy money from their clients but make sure that they provide the best services. If you want the best arbitration lawyers to work for you, you must contact the HHS Dubai lawyers from Top law firms in Dubai, Sharjah, Abu Dhabi UAE. Appointing us will make your arbitration process easier than ever. We make sure that we satisfy our clients and provide them with quality services. There is no doubt that disputes are a part of the business but handling them mindfully is the key to success. So, if you also want to make sure that your disputes get handled in the safest manner, hire us. You can contact us for further information and appointment.